Your privacy is extremely important to all of us here, at Alistgator. We operate under the core principle of being fully transparent in terms of all our operations, including but not limited to how we collect, use, protect or otherwise handle your Personally Identifiable Information (PII) in accordance with Alistgator.com as well as other websites we operate. We do not ask for and we do not collect information that we do not absolutely need in order to improve your experience on Alistgator.com. We never collect personally-identifying information without your express permission. We never share personally-identifying information with anyone unless we are required by law to do so. Like most website operators, we collect non-personally-identifying information of the kind your browser makes available. Such as the device you’re using to access Alistgator.com, the browser version you are using, your language preferences, the date of your visit, your visit duration, how many pages you read, the site that referred you; to name a few. This information we collect solely for the purpose of understanding how you interact with our content. This help us improve your experience by producing content that is more relevant to you and all our readers. For example, knowing you spend very little time reading lists in category X helps us focus more on category Y as it becomes obvious you enjoy that content more. Please note that, from time to time, we may aggregate and publish non-personally-identifying data such as the number of website visits, the number of views some lists received and others in that same context. We also collect information that can be considered as personally-identifying when you create an account with Alistgator.com or when you leave a comment. With either action, the information we collect includes the name, website URL and email address you provide us with during sign-up or when leaving a comment as well as your IP address. Note that the only element of those that is publicly visible is the name you type in when commenting and your website address (if you choose to enter one and we choose to publish it). We treat potentially personally-identifying information the exact same way we treat information that is clearly “personally-identifying”. 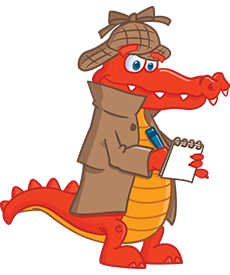 However, please note that Alistgator’s system administrators are able to see commenters’ and logged-in users’ IP addresses. We may collect personal identification information in a variety of ways but never without your consent. We will ask for your name and email address in order to publish your comment, for example. We will also need you to provide us with an email address should you choose to subscribe to Alistgator’s mailing list. In any case, we will only ask for the minimum information necessary to complete the action you requested. As it is obvious, you can refuse to supply personally-identifying information, except that it may prevent you from engaging in certain activities like commenting or receiving updates via email. We do not disclose personally-identifying information other than as described below. As already mentioned, we collect and reserve the right to publish aggregated data including but not limited to the number of times a particular list has been viewed in a period of time, the average time each visitor spends on Alistgator.com, the number of people that have subscribed to our mailing list and so on. However, we do not disclose personally-identifying information other than as described below. We never sell, trade or rent potentially personally-identifying and personally-identifying information to anyone. We never share potentially personally-identifying and personally-identifying information with anyone unless we are responding to a court order or other government request or if it is abundantly clear that us doing so serves the greater good. We may also be forced to share information in order to protect our rights, interests and properties. You may find advertising or other content on Alistgator.com that links to the sites and services of our partners, suppliers, advertisers, sponsors, licensors and other third parties. We do not control the content or links that appear on these sites and cannot be held responsible for the practices employed by websites linked to or from Alistgator.com. In addition, these sites or services, including their content and links, may be constantly changing. Please note that these sites and services may have their own privacy policies and customer service policies. Google’s advertising requirements can be summed up by Google’s Advertising Principles. They are put in place to provide a positive experience for users. Please read them here (external link). Opting out: You can set preferences for how Google advertises to you using the Google Ad Settings page. Alternatively, you can opt-out by visiting the Network Advertising initiative opt-out page or permanently using the Google Analytics Opt-Out Browser add-on. By visiting and using Alistgator.com, you signify your acceptance of this policy and terms of service. If you do not agree to this policy, please exit Alistgator.com. Your continued use of Alistgator.com following the posting of changes to this policy will be deemed your acceptance of those changes.